If you are a true petrolhead, the first thing that would come to mind if you heard someone say "fair lady" as you walked down the street would be Nissan. This is because at one time, it was precisely the model called the "Fairlady" that Nissan hoped would bring global fame to the brand. Nissan president Katsuji Kawamata came up with the idea for the name back in 1961. It was that year that he visited the United States and had the opportunity to see the popular Broadway musical "My Fair Lady". 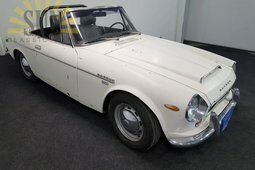 Nissan was planning to launch an improved version of the Datsun SPL212 sports car in North America, and Mr Kawamata decided that the sports car should be called the "Fairlady". He clearly hoped that the name would bring the same success that the musical had. 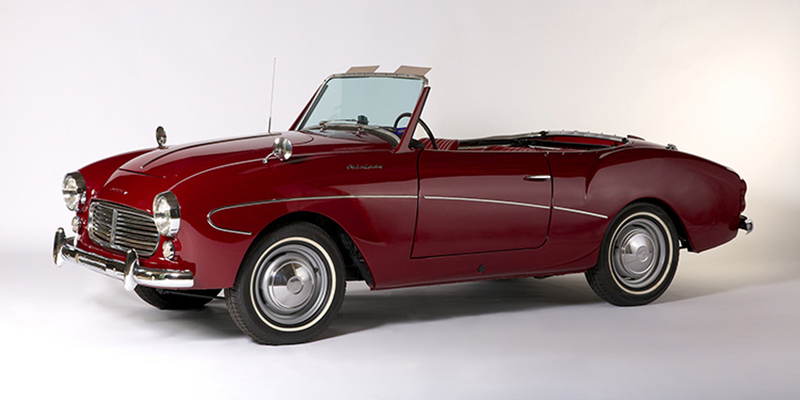 At the time when Nissan wanted to start exporting Datsun roadsters to the US, the British reigned. Americans were partial to the MGB, the Austin-Healey 3000 and the Triumph TR4. The predecessor to the Datsun Fairlady was the Datsun Sports S211. This car was shown at the 1959 Los Angeles Imported Car Show, where it was met very favourably by the public. Not much is known about it. Designer Yuichi Ohta, who also created the Datsun DC-3, which is considered to be the S211's prototype, decided that it should have fibreglass bodywork – this was influenced by the Chevrolet Corvette. Only 20 examples of the S211 were built, so it is regarded to be the rarest of all Datsun models. Nissan began exporting Datsun sports cars to the US in 1960. The first was the SPL212 model. The "L" that appeared in the name of the car meant "left hand drive". The Japanese made this model with steel bodywork in place of fibreglass. They managed to produce 288 of them through 1961. The roadster got a 1.2-litre, 47-hp engine, a 4-speed manual transmission and – finally – the "Fairlady" name. The SPL212 and later SPL213 were made exclusively for the US market; the Fairlady that was produced in 1961–1962 (the SPL213) had a 1.2-litre, 59-hp engine under the bonnet. In a year, Datsun only built 217 examples of the SPL213. Rumour has it that more Fairladies were produced than officially declared, but that all of them are in the hands of private collectors in Japan. Given, today's sceptics evaluate the success the model had in the US market in two ways. The Fairlady was relatively simple, and it was not cheap. At that time, USD 2,132 was being asked for a new Fairlady. That's USD 400 more than a new Austin-Healey Sprite Mk II and USD 400 less than a Fiat 1200 Spyder, but the Fairlady was far more primitive than its competitors. The Fairlady that is more widely known on a global level was produced in 1963. The car coded as the SP310 (or SPL310 for export markets) is known in the West as the Datsun 1500, and in the East as the Fairlady 1500. A Bluebird 310 platform was used for the production of this model rather than a truck platform. The roadster got a more powerful engine: a 1.5-litre with 85 hp. However, Datsun only made the decision to install a more powerful engine with two carburettors in 1964, so prior to that, 300 SPL310s were released with a 77-hp single carb. This model was equipped with a transistor radio, a passenger map light and a clock on the dashboard. The SP311 and SPL311 models – known as the Datsun 1600 or the Fairlady 1600 – started rolling off the conveyor lines in 1965. This model got a 1.6-litre, 95-hp motor. Production of the SP311 continued right into 1970. 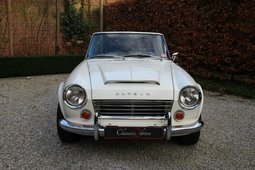 In 1967–1970, Datsun produced a more impressive sports roadster with a 2.0-litre, 133-hp engine alongside the more modest SP311. Datsun also put a 5-speed manual into the SR311 (and the left hand drive SRL311). The 133 hp version wasn't the only one – Datsun also produced an additional, sportier version with 150 hp. At the time when the Fairlady 2000 entered the US market, the MGB had been king there for five years. And as experts say, in comparing the Japanese and British models, the latter seemed rather inferior. The Fairlady surpassed the car manufactured by the Brits. The top speed alone spoke volumes: the Fairlady 2000 could hit 200 km/h, while the MGB was limited to 160 km/h. 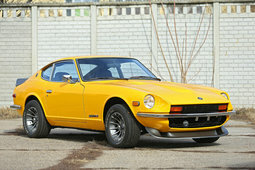 It is believed that Datsun only exported about 1,000 of the first (also known as "half year") SR311s and SRL311s. 1967 was the last year that manufacturers did not have to adhere to any emissions or safety requirements. Up until mid-1967, Datsun was therefore able to do things at the plant like install Solex carburettors, increase engine power to 150 hp, develop improved engine cooling, and select a crankshaft suitable for higher power. These Fairlady models that were produced before the second half of 1967 are therefore rare and valuable. A refurbished Fairlady produced in the first half of 1967 can cost USD 30,000–50,000, while its 1969 counterpart might go for USD 15,000–20,000. 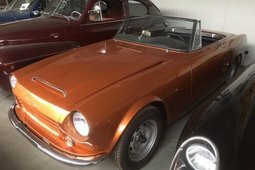 Nevertheless, without knowing how many models Datsun produced with Solex carburettors in all, it is very difficult to trace which roadster is in front of you without analysing the original inscriptions on the windows or consulting with the owner. Unlike classic American cars which had the serial number stamped on the engine blocks and other mechanical parts, documentation was not very important for the Japanese trying to establish themselves in the US market. Searches are made easier by the fact that all roadsters that were sold outside of Japan had a serial number and an engine number stamped on the engine block. Cars for which both numbers are the same are significantly more valuable than those which have mismatched numbers or no numbers at all. When emissions and safety changes can into effect in 1968, the weaker 2.0-litre model continued to be sold in the US as well as a version with a 1.6-litre engine. The chassis code for the latter begins with "SPL311", and the 2-litre model got a chassis code beginning with "SLR311". The difference between these two is also visible on the dashboard. The tachometer for the 2.0-litre model is graded to 8,000 RPM, while the 1.6-litre tachometer is marked to 7,000 RPM. The relatively inexpensive Fairlady 2000 models with two-litre engines were lauded by John Morton, Bob Sharp and other American drivers who were taking victory after victory on racing circuits. 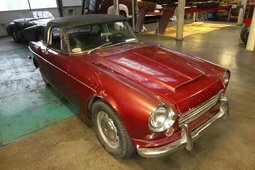 In late-1967/early-1968, the roadster's appearance also changed: the models for export markets began to differ from the ones that stayed in Japan. The windscreen was raised two inches higher and the projecting door handles were hidden in niches, since pedestrians were apparently complaining; the toggle switches were removed, and finally – a rear-view mirror appeared on the windscreen. The fuse box that had previously been under the bonnet was moved to the glove compartment. Despite the success in the last year of production, Datsun only continued making this model until 1970, when the Fairlady was replaced by the Fairlady Z – the first model with a closed-body design.